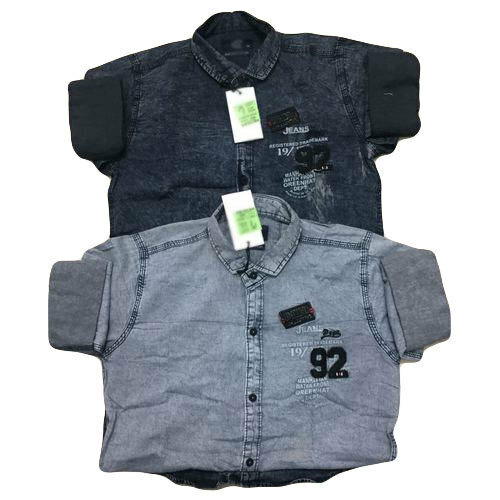 Owing to the wide experience in this domain, we are instrumental in offering Denim Shirt to our clients. Situated at M.C. Road, Chennai, Tamil Nadu, we “Immu Fashion” were commenced, as a sole proprietorship based venture. Since 2014, we are keenly manufacturing and wholesaling the splendid quality products. We are diversely acknowledged for manufacturing of Men's Shirt, Men's T-Shirt, Men's Jeans, Girl's Top and many more. We are continuously delivering the qualitative products to get the enormous clientele. In addition, the garments we offer to the customers passes through several quality check parameters by our quality auditors.